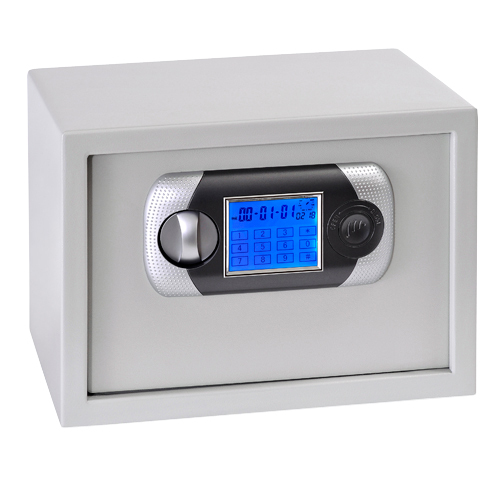 This Small Electronic Drawer Safe can easily be placed in a drawer or mounted to a wall. The door is heavy-duty 11 gauge steel construction and the body is heavy-duty 14 gauge steel construction. 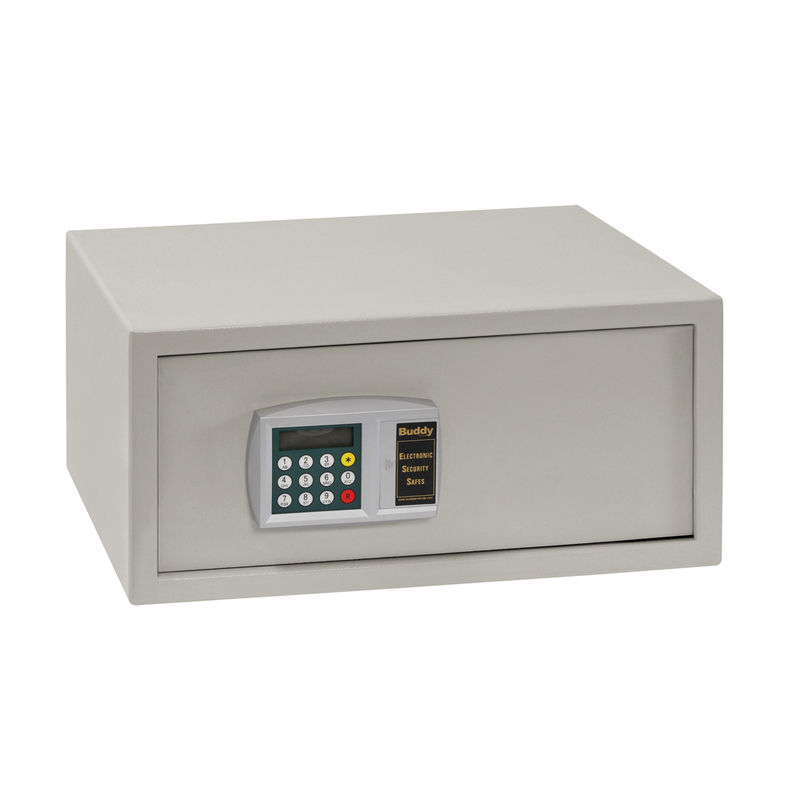 Electronic keypad access code makes this Small Electronic Drawer Safe extremely secure. Grey carpet with pressure sensitive adhesive lines the inside. Faceplate removes to reveal a backup key lock in case of battery failure. Mounting hardware and four AA batteries included. Perfect to use in a drawer to keep valuables hidden. 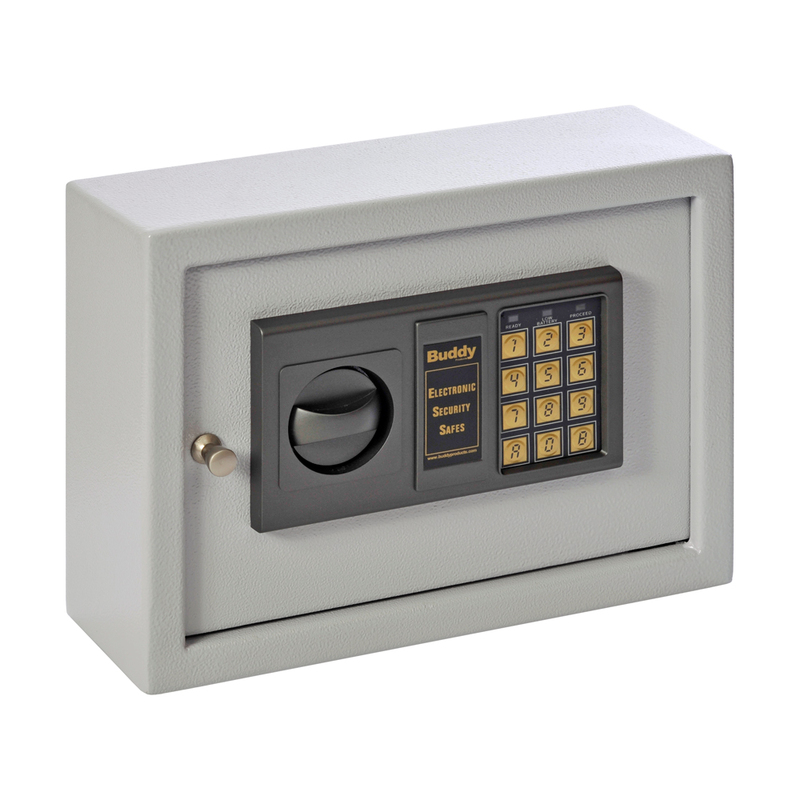 Includes anchor holes on the back and bottom of safe for wall or floor mounting as well. 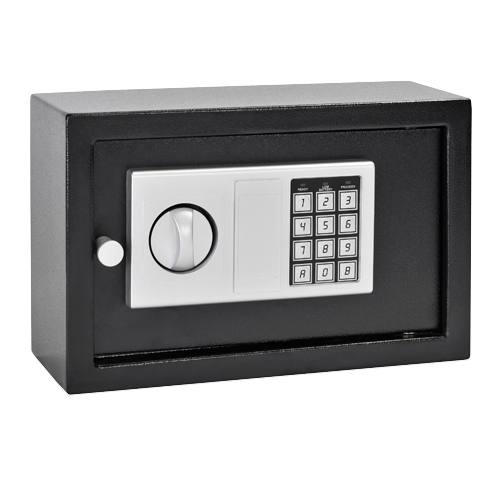 Electronic locking system offers high security and easy operational performance. Two sets of codes: Master code and user code. Face-plate removes to reveal a backup key lock in case of battery failure. Solid steel construction with powder coat finish in black. 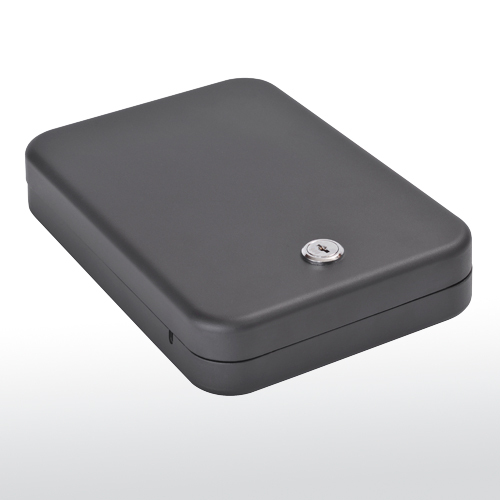 The Electronic Laptop Safe is a unique battery operated security system that can be mounted to the floor, a shelf, or a desk. It holds one master code as well as numerous user codes if needed. 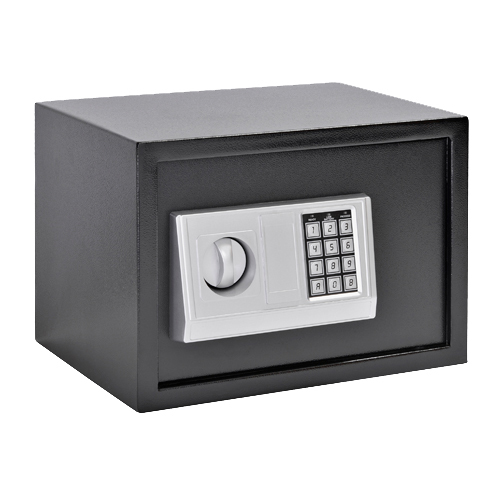 The door is heavy-duty 8 gauge steel construction and opens automatically once the proper code has been punched in. The body is heavy-duty 14 gauge steel construction. Faceplate removes to reveal a backup key lock in case of battery failure, two keys included. Soft grey carpet with pressure sensitive adhesive lines the inside of the safe to protect your valuable laptop. Mounting hardware included. One 9V Battery included. Step aside standard medicine cabinet, here is the future of safely storing controlled substances. 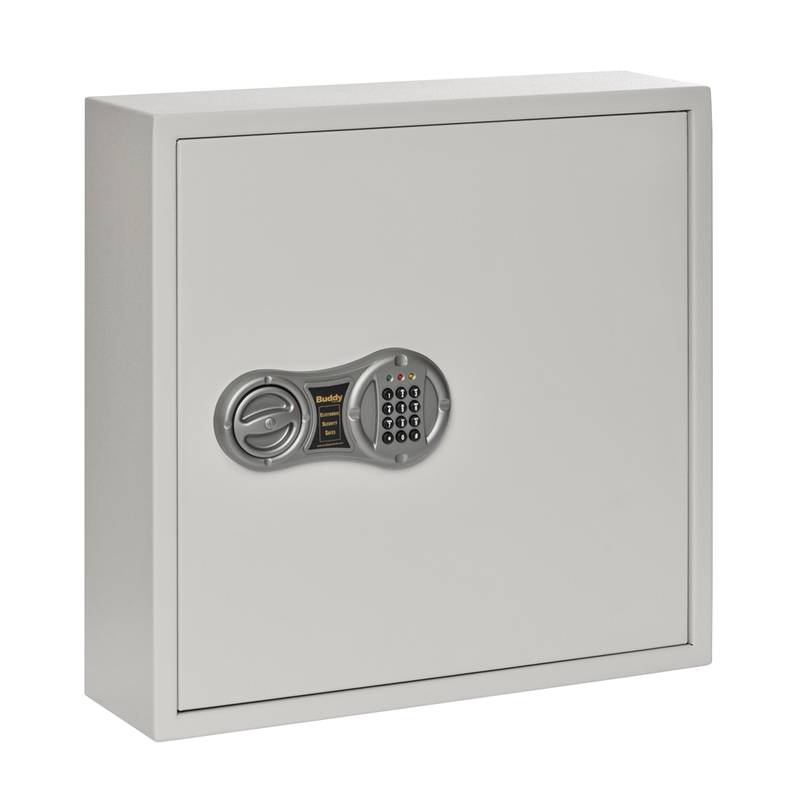 This cabinet is designed to securely and safely hold various medicines and drugs. 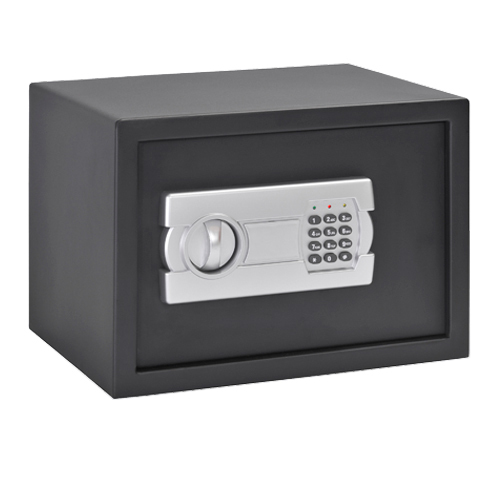 Heavy duty steel and electronic keypad lock makes this product ideal for protecting your medication or products from young ones or wandering hands. Comes with adjustable shelves so you can arrange it just the way you want! Programmable digital lock with override feature, also it comes with two keys for manual locking and unlocking.